Are you paying the correct amount of sales tax to the proper agencies? QuickBooks Online can help. It’s hard to imagine that small businesses used to have to manage sales tax manually. It was quite a time-intensive process, and it was so easy to make mistakes. QuickBooks Online can handle the mechanics for you. Its sales tax tools are quite simple; they help set up both single and combined (up to five) rates. Then when you create invoices and other sales forms, you can select the appropriate rate(s). The site does the necessary calculations and includes sales tax in the totals. It also keeps a running tally of how much you owe to taxing agencies. How often – and to whom – you submit the money you’ve collected from customers. Figure 1: QuickBooks Online simplifies the mechanics of charging sales tax. But let us work with you before you start using them. This element of accounting is so critical that QuickBooks Online includes a special section devoted to it. To get to the Sales Tax Center, you’d click on Sales Tax in the site’s toolbar. The page that opens will eventually display information about the sales tax you owe for a specific period and recent payments you’ve made. It’s the Related Tasks over to the right that we’ll address first. 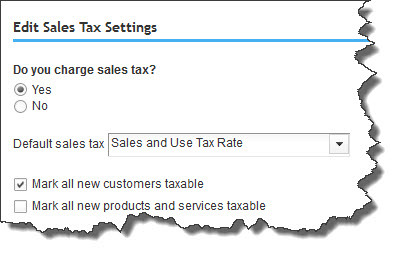 The Edit sales tax settings link opens a small window that asks whether you charge sales tax. It also wants to know whether you want to specify one rate as your default – the rate that fills in automatically when you enter a taxable item on a sales form – and whether all customers, products, and services should be considered taxable. Note: Even if you choose a default tax rate, you’ll be able to change it on individual forms as needed. Figure 2: One of the things we’ll do as we help you get started with sales taxes is to make sure that your site settings are correct. QuickBooks Online will now include a Tax column on sales forms like invoices. After you’ve entered all of your taxable items, you’d look below the line over to the right that says Taxable subtotal. Directly below that is a field where the sales tax rate should appear. If you’ve created rates and they aren’t showing, you’d click the up-and-down arrow to display the list. Either select the appropriate one or click +Add new. QuickBooks Online would then multiply the taxable subtotal by your tax percentage and enter the result in the box to the right. 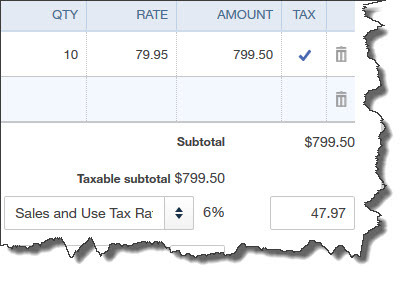 Figure 3: Once you’ve entered all of your items and/or services and you have a taxable subtotal, QuickBooks Online will calculate the sales tax payable based on the rate selected. Taxable Sales Summary shows a summary of all of the sales to which you’ve assigned a tax rate in your sales forms. Sales Tax Liability Report tells you what you’ve collected in sales tax, as well as what you owe to taxing agencies. Taxable Sales Detail is a more comprehensive version of the Taxable Sales Summary report. Its columns include Date, Transaction Type, Customer, Quantity, Rate, Amount, and Balance. When sales taxes are due, you will pay them directly from the Sales Tax Center. Its Sales Tax Owed table will display the amounts you owe and to whom. If they’re recorded as a paid bill or a check, they won’t appear in the Recent Sales Tax Payments table. We can’t emphasize strongly enough the importance of correctly setting up your sales taxes from the start or of meeting the deadlines that your local taxing agencies enforce. Let us know when you want to start implementing this element of QuickBooks Online. We are Certified Quickbooks Pro Advisors. Our Los Angeles QuickBooks CPA firm offers a complete range of QuickBooks consulting, set-up, training and ongoing support to meet the needs of your business. Give us a call at 818-404-1084 to learn more or request a free consultation online. 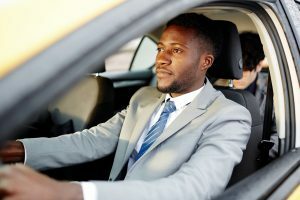 IRS rules and exceptions abound, but there are some questions we can answer simply when it comes to using your vehicle for business. Next, to your home, your car is probably the most expensive investment you make. And the costs of paying for and maintaining it can be considerable. Can you recoup some of your investment by claiming vehicle expenses on your tax return? Sometimes. The IRS has many restrictions on the business use of a vehicle, and those restrictions have many exceptions. Better to know these upfront than to have to correct a tax return after you’ve filed it. Our Los Angeles CPA firm specializes in IRS tax for businesses and individuals. Here are some questions and answers that may help you decide whether you’re eligible. You know the drill here. If the IRS ever wants to examine your return, it will expect evidence like receipts, canceled checks, and credit card statements. You’ll need to document the date and location where you incurred the expense. You’ll need accurate mileage records (miles are driven, the purpose of the trip, etc.). Maintaining accurate records for car and truck expenses is time-consuming and detail intensive. And that’s once you understand all of the IRS’s rules and exceptions surrounding this deduction. To avoid having to fix completed tax documents that the IRS has questioned, talk to us before you put a vehicle into business use. We’ll be happy to evaluate your transportation situation and guide you through the process. Give us a call at 818-404-1084 to learn more about our tax services. So, the IRS is sending you a big check again this year? Bet you’re excited about it! But that money could have been in your paycheck — and your bank account — all along. Instead, you’ve allowed Uncle Sam to “borrow” your money throughout the year without paying interest on the loan. The number of allowances you claimed when you filled out your Form W-4 dictates the amount of tax your employer withholds from your paycheck. The more allowances you claim, the less tax is withheld, and vice versa. You can change the number of withholding allowances at any time. All you have to do is fill out a new Form W-4 and give it to your employer. Your goal should be to have enough money withheld so that you won’t be subject to an underpayment penalty. Your tax advisor can help you determine the ideal number of allowances to claim. 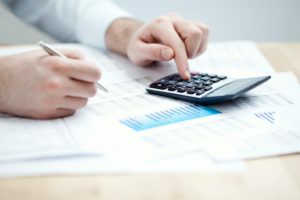 For more help with individual or business taxes, connect with us today by calling our Los Angeles CPA Firm at 818-404-1084. Our team can help you with all your tax services from tax preparation to tax planning to IRS tax help. What Records do You Need to Keep for the IRS? When you’re gathering your tax information this year, you may run across old information and wonder whether it’s okay to discard it. In general, you should retain supporting documentation for a minimum of three years after the date you file your return (or its due date, if later) — six years is safer. And there are some items you should never throw away. Once you have verified the accuracy of your W-2, there is generally no need to retain your old pay stubs. 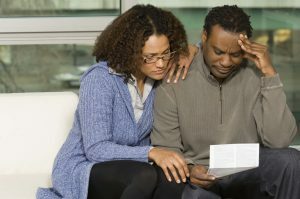 However, you should keep your year-end or final pay statement if you’ve had potentially tax-deductible amounts withheld from your pay, such as charitable donations, medical insurance premiums, or union dues. Even when you no longer need your records for tax purposes, you might need them for other reasons. For example, your insurance company may require you to have certain records to substantiate a claim. Don’t deal with tax issues on your own. Call us right now at 818-404-1084 to find out how we can provide you with the answers you need. Our Los Angeles CPA firm specializes in IRS tax solutions and strategies. The new year is about to begin. Does your accounting to-do list look like a clean slate, or are critical tasks from last year still nagging? Did you create a budget last year? 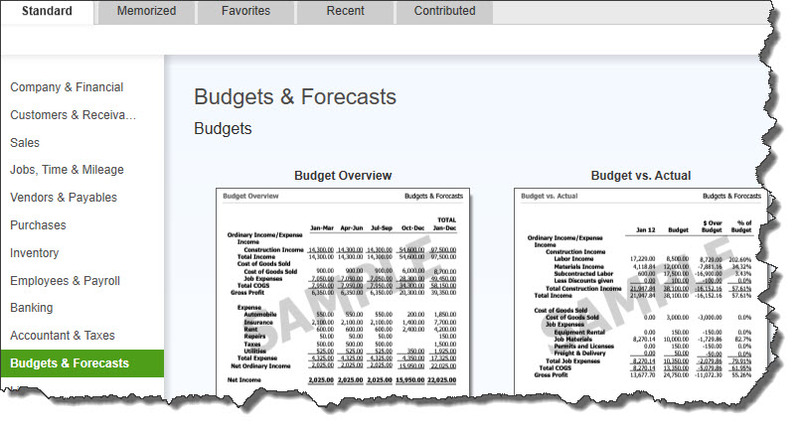 Now’s the time to run QuickBooks’ Budget vs Actual report. You can contact our Los Angeles CPA Firm for all your QuickBooks accounting needs. Call us today at 818-404-1084 or request a free consultation online. When you start a business, there are endless decisions to make. One of the most important is how to structure your business. Why is it so significant? Because the structure you choose will affect how your business is taxed and the degree to which you (and other owners) can be held personally liable. Our Los Angeles CPA firm can assist you with business start-up, incorporation, and entity selection services. Leon Jaferian, CPA, Inc. has the experience to help advise and guide you in choosing the best business entity to meet your short and long-term goals. This is a popular structure for single-owner businesses. No separate business entity is formed, although the business may have a name (often referred to as a DBA, short for “doing business as”). A sole proprietorship does not limit liability, but insurance may be purchased. You report your business income and expenses on Schedule C, an attachment to your personal income-tax return (Form 1040). Net earnings the business generates are subject to both self-employment taxes and income taxes. Sole proprietors may have employees but don’t take paychecks themselves. If you want protection for your personal assets in the event your business is sued, you might prefer a limited liability company (LLC). An LLC is a separate legal entity that can have one or more owners (called “members”). Usually, income is taxed to the owners individually, and earnings are subject to self-employment taxes. Note: It’s not unusual for lenders to require a small LLC’s owners to personally guarantee any business loans. A corporation is a separate legal entity that can transact business in its own name and files corporate income-tax returns. Like an LLC, a corporation can have one or more owners (shareholders). Shareholders generally are protected from personal liability but can be held responsible for repaying any business debts they’ve personally guaranteed. If you make a “Subchapter S” election, shareholders will be taxed individually on their share of corporate income. This structure generally avoids federal income taxes at the corporate level. 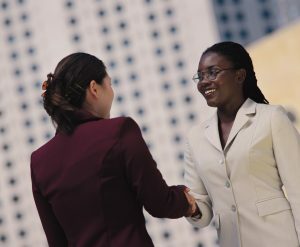 In certain respects, a partnership is similar to an LLC or an S corp. However, partnerships must have at least one general partner who is personally liable for the partnership’s debts and obligations. Profits and losses are divided among the partners and taxed to them individually. For more help with individual or business taxes, connect with us today and learn about our Los Angeles incorporation services. You can call us today at 818-404-1084 or request a free consultation online.